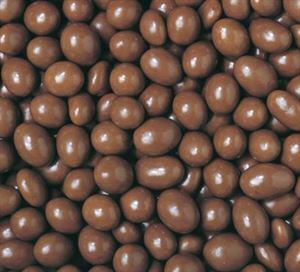 Ingredients: Sugar, Vegetable Fat, Milk Solids, Sultanas, Cocoa Powder, Cocoa Butter, Cocoa Mass, Emulsifiers (Soy Lecithin, 476, 492), Glazing Agents (414, 904), Flavour, Salt. 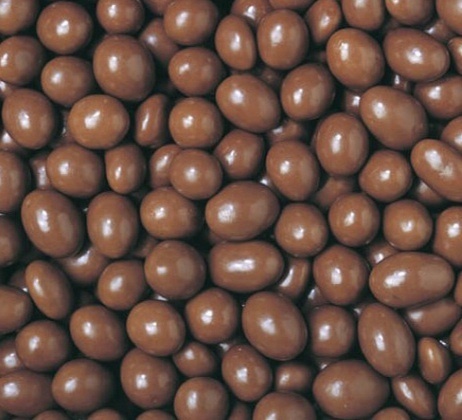 Cocoa Solids 9.0%, Milk Solids 17.3%, Sultanas 14.3%. Manufactured on equipment used to process Peanuts, Tree Nuts, Wheat & Barley. May contain traces of Peanuts, Tree Nuts, Wheat, Barley, Sulphites & Eggs.